Reflections are one of my favourite styles of photography; I love the way you can create a mirror-world to the one you are looking at. 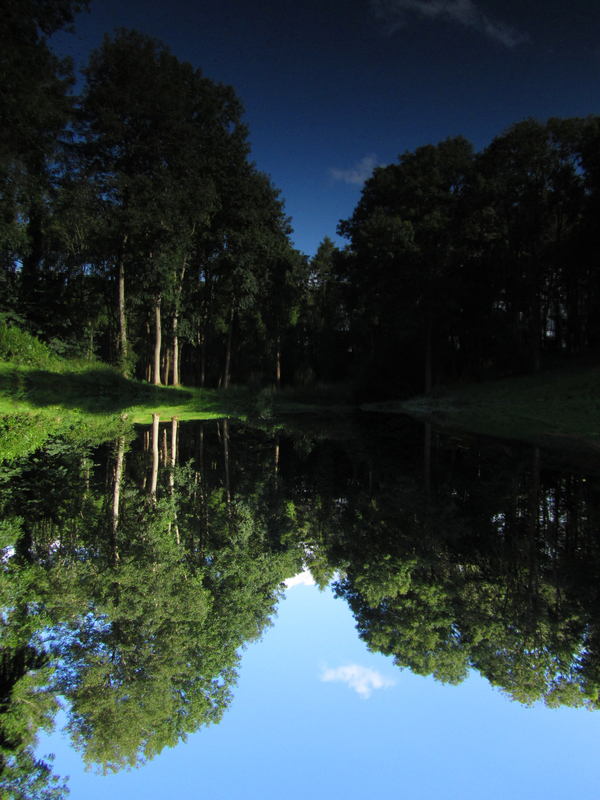 I think it’s particularly effective if you take a reflection shot, then flip it 180 degrees so that the reflection becomes the focus of the image and the true shot becomes the distortion of it. This photo was taken on the Grand Western Canal outside Wellington in Somerset. It was a gloriously sunny day, but the canal was as still as a mill pond. The reflected images of this tree I snapped looked so lifelike that I needed to add a little bit of distortion, so I started throwing small pebbles into the water to create the concentric rings. This photo was taken at Greylake, an RSPB Reserve on the Somerset Levels. 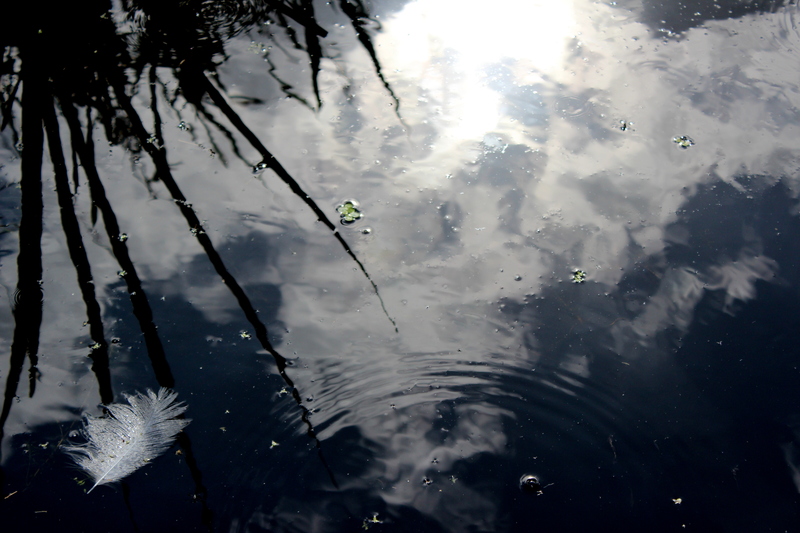 I wanted to capture the clouds in the sky, with the soft feather acting in contrast against the inky black water. This photo was taken at ISO 200 because it was such a bright day and I altered the contrast of the image in post-production to bring out the detail. 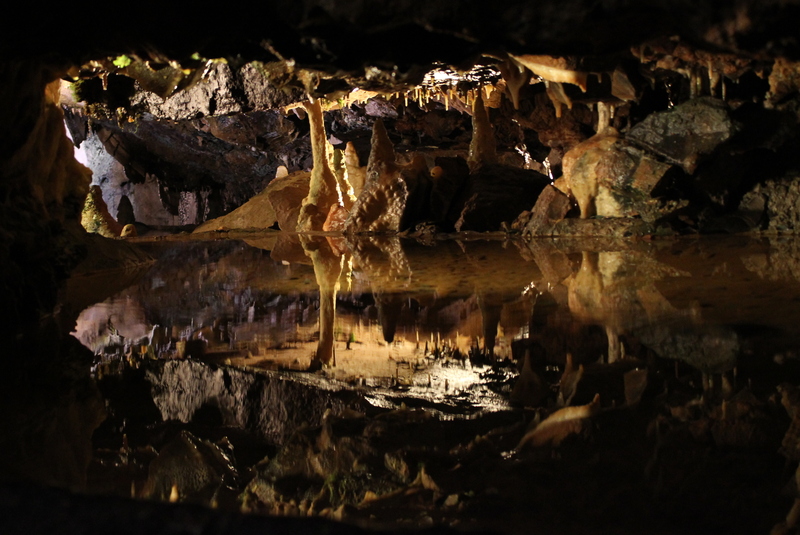 This photo was taken in Cheddar Gorge Caves and shows one of the reflection pools; small bodies of water so still that they become as effective as a mirror. The weird and fantastical shapes it creates with the stalagmites and concretions makes it difficult to see where the water ends and they begin. Post-processing on images is a tricky thing to get right and I try not to do too much to the natural colour of my photographs if I can possibly avoid it. 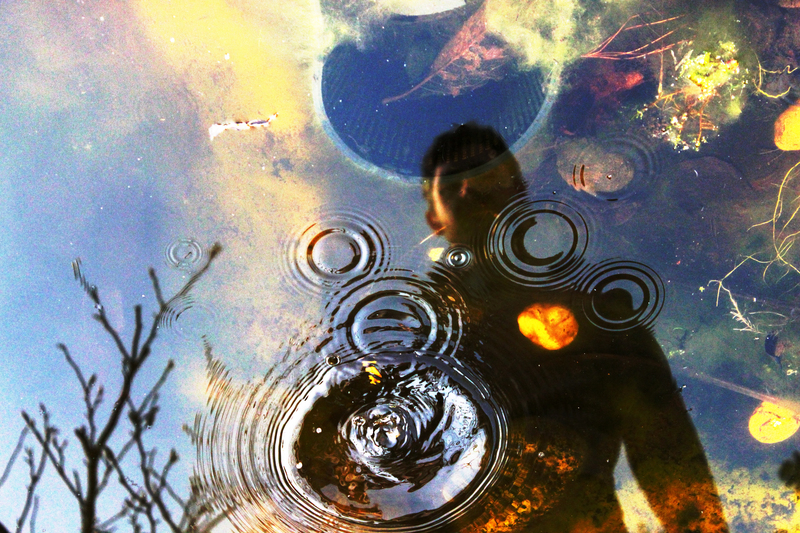 When I took this image on my partner reflected in my parent’s pond, I increased the saturation to make the underwater colours brighter and create a softened look to contrast with the sharp rings of the water splashing. 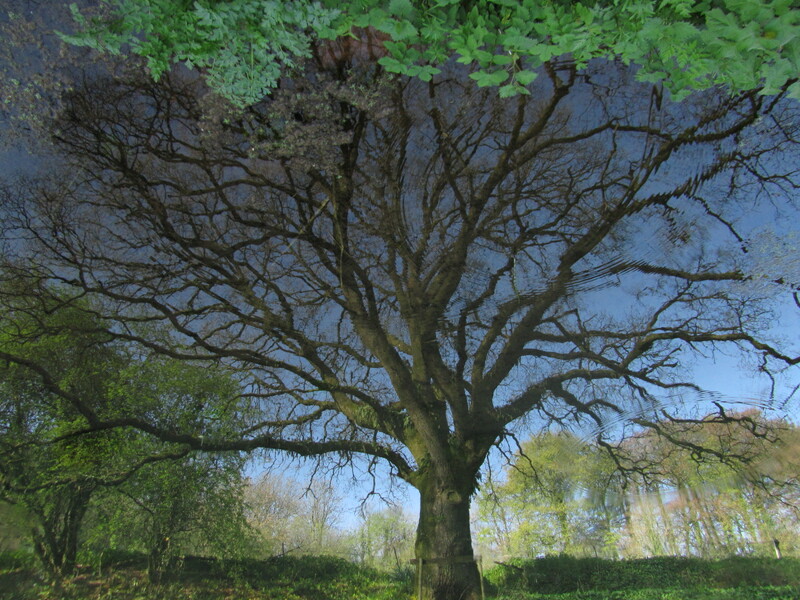 This final shot of the trees reflected in the mirror-like surface of a lake at Hestercombe Gardens in Somerset just shows how flipping a reflected shot 180 degrees really alters the feel of a photo. Beautiful photos. I especially like the photo of your partner’s reflection. Great photos, especially the first and the last!